Join our team of trekkers and sherpas up to the foot of the world’s highest mountain. Along the way you see some of the most breath-taking mountain scenery. 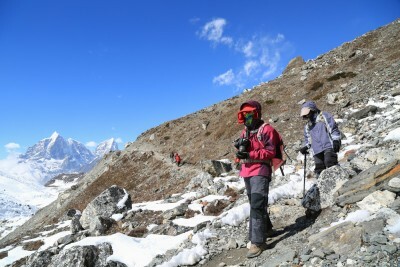 Starting from Lukla you slowly journey up through the Himalayas taking in incredible views of Everest (8,848m), Lhotse (8,511m), Nuptse (7,879m), Ama Dablam (6,856m), Thamserku (6,623m), and the list of peaks goes on.